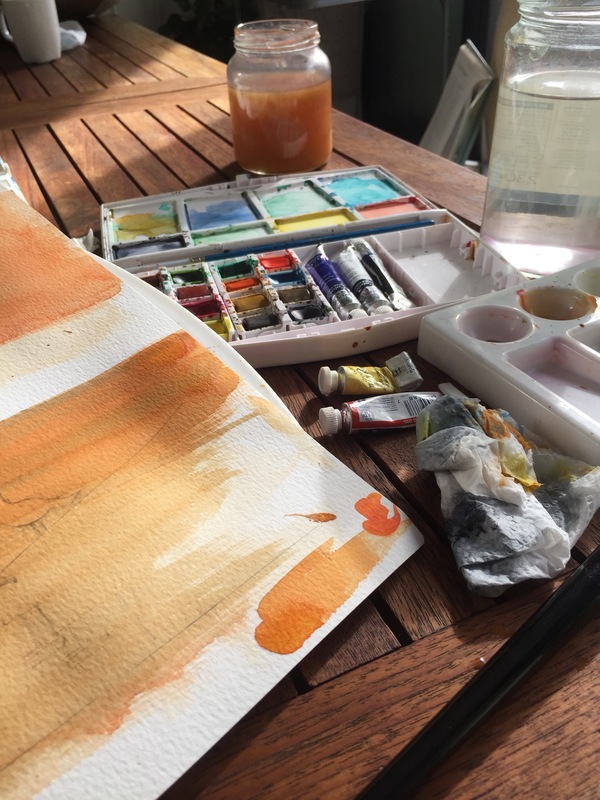 Another week has flown by and it’s already Sunday afternoon – do you ever want a pause button just to stop the world for a moment or two? We’ve had such a busy week in our household this week and I could do with another weekend to catch my breath and take stock (you can probably appreciate the state of mild chaos I find myself in if you noticed that my previous post was published almost a month early by accident – so far, last week’s photo challenge photo is as yet untaken!). 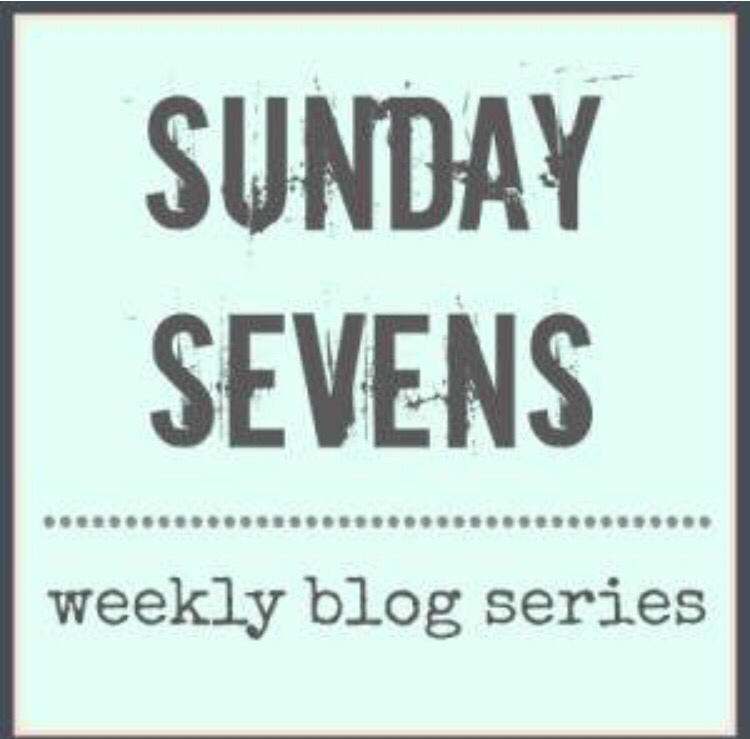 Anyway without further ado, here’s this week’s edition of Sunday Sevens…. 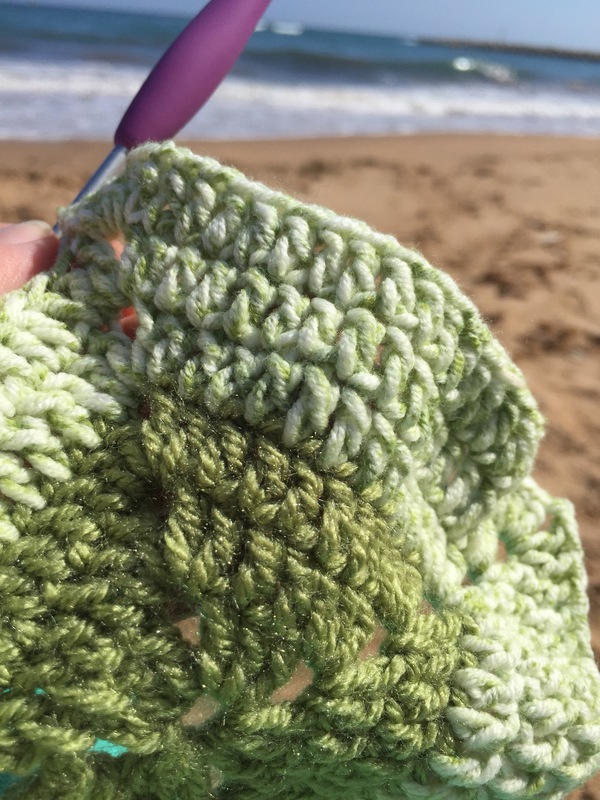 Last Sunday was another glorious autumnal day, perfect for heading down to the beach again, crochet hook in hand. I’m busy working on a Christmas gift, but time’s running away with me already and I’m really not as far along as I would’ve liked to be by this point…. The lovely weather continued into the start of the week and I had a lovely trip up the Med Steps again on Monday. 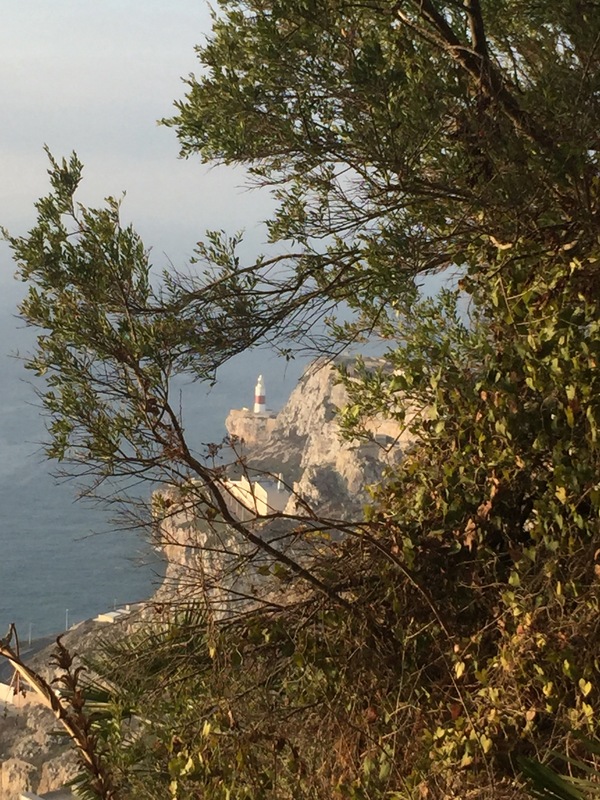 I glanced up at one point and saw the Europa Point Lighthouse framed beautifully by the branches of a tree. 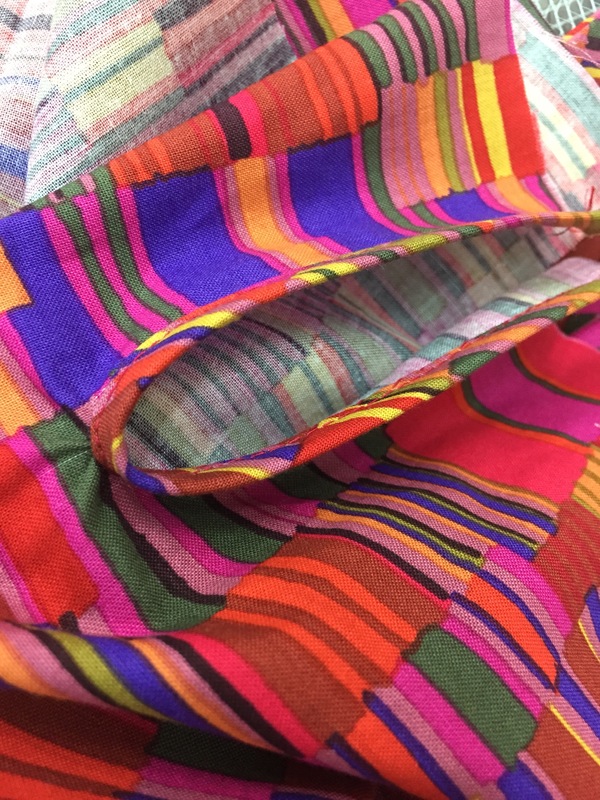 In my Dressmaking class on Tuesday I started working on the sleeves of my blouse. The photo shows the slit at the cuff of my sleeve which is just waiting for a cuff to be added. Wednesday began rather murky and misty. 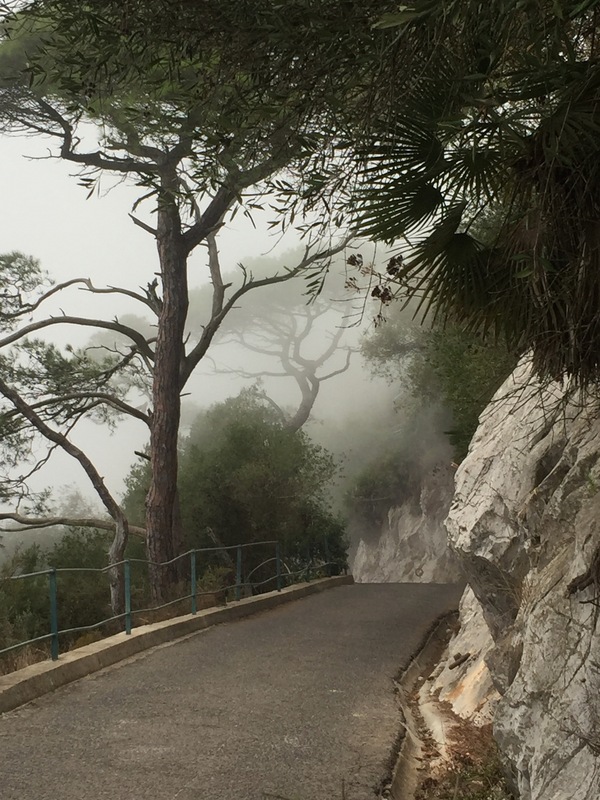 I really enjoyed my walk back down the Rock from the summit of the Med Steps. Looking out to sea from the road, there was nothing but mist and cloud, it was as if I was on the edge of an abyss. I love it when it’s like this, it’s so atmospheric and magical looking. After the mist cleared on Wednesday, we had a scorching hot afternoon. Standing outside school waiting for the Little Postcards, I could feel the sun burning my back through my shirt. By dinner time however, the clouds had rolled in and we were treated to a fab lightning storm and then rain shower. Talk about four seasons in one day. Yesterday, hundreds of middle school children from across Gibraltar came together to participate in the annual Mini Olympiad. Organised by the Royal Gibraltar Police, the event is aimed at introducing young people to the joys of sport as a way of avoiding bad life choices later on (ie drugs). The Olympiad began with a congregation in the Piazza with an address from the Head of Police, Mayor and a priest’s blessing before a parade through town to the Victoria Stadium. 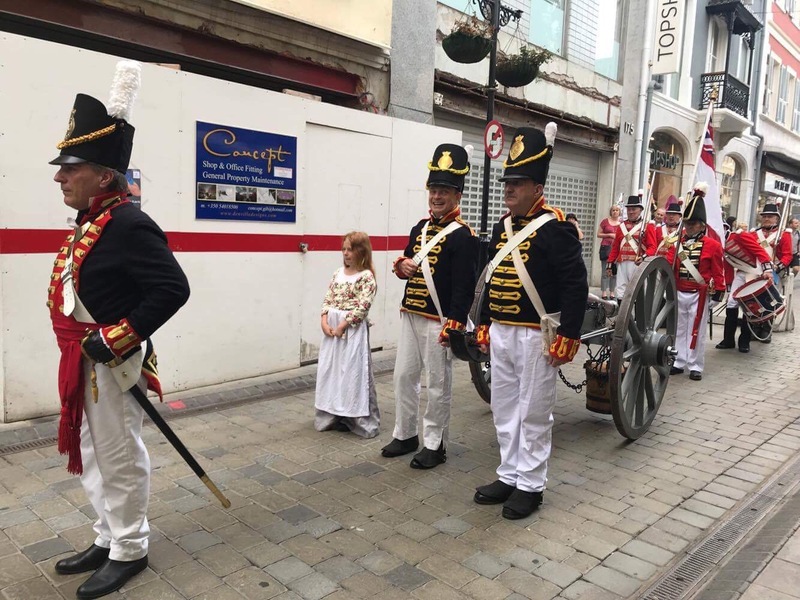 The Parade was led by the drums and bagpipes of the Sea Scout band and the members of the historical re-enactment society and their very loud cannon. After an opening ceremony and the firing of the cannon, the sports began. It was a great event and was enjoyed by us, although a certain young man was feeling rather achey and tired today after his exertions yesterday! I’m linking with Natalie of Threads & Bobbins for this weekly blog series. It is always comfortig to know others get in a twist when life gets busy. What an amazing photo of the lightning! Thank you – I have tried to photograph lightning quite a few times (we get some good storms here) but this time it worked! 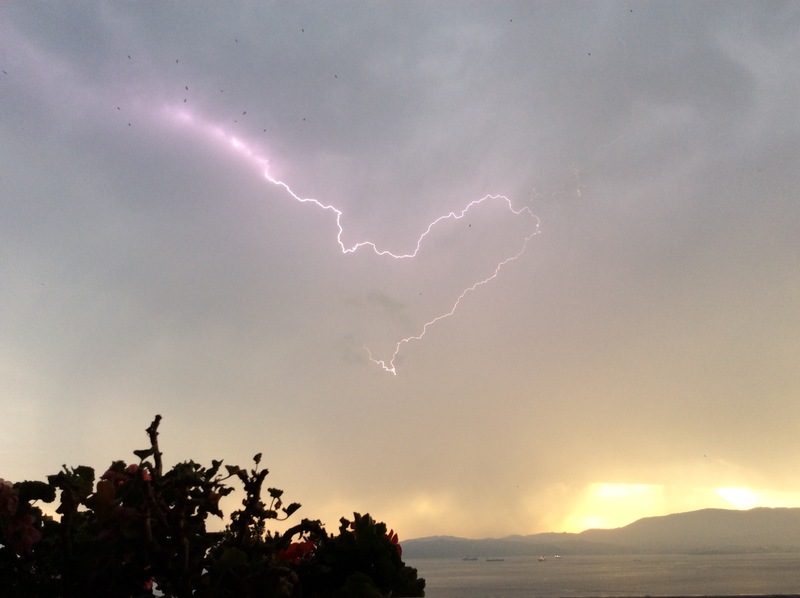 These are great photos, love the lighthouse and lightning! I often wish there were more hours in the day 😊. Another active week and great stormy shots, makes a change from the beautiful sunny days. It certainly does – things can get a bit samey after a while, it’s good to have a change plus the plants appreciated the rain! The ex-photographer in me was drawn instantly to the lighthouse framed by the trees – well caught, as was the lightening! Luckily, there is nearly always someone with a camera phone nearby nowadays if you happen to forget yours. Good luck with your sunset skies – I wouldn’t have a clue where to start! Thanks Shiela – right place at the right time on both scores – I can’t claim to have worked at either picture – I was just fortunate.